We were treated to a special Barlow four-hander episode this week from the pen of writer Chris Fewtrell and what a joy it was. 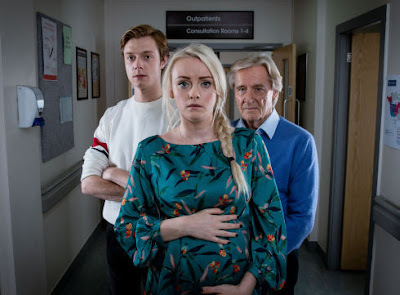 The episode featured just Ken, Peter, Daniel and Sinead. Secrets came out about Sinead having cancer; that Ken already knew and had kept it quiet from his son. Peter intervened, standing in the back yard with a fag in his hand, all Deirdre-like, trying to keep warring Ken and Daniel apart. It was wonderful stuff, really powerful. Sinead has her first round of chemotherapy and then lies to the hospital about a repeat appointment. She clearly doesn’t want to go back for more but lies to Daniel too and he doesn’t know what she’s done. Elsewhere, Steve returns from honeymoon burned to a crisp after Tracy stranded him in the desert. He finds a laptop in the flat, and discovers Tracy on CCTV at Webster’s garage smashing up Michelle’s car. But instead of turning her in to the cops, Steve protects his wife and smashes up the laptop instead. It’s Halloween this week and Jenny sends a witch’s outfit to the pub for Liz to wear while Gemma’s done up like Snow White. Kate tells Johnny that she’s going to propose to Rana as soon as she comes back from her cruise while Carla tells Johnny that she’s still in love with Peter. Speaking of which, the best part of this week, for me, was the blink-and-you’ll-miss-it scene between Peter and Carla. They have so much fire between them, it sparkles on screen. They need to get back together, for all the nasty horrible wonderful stuff that will happen. Peter wants to sell his share of Underworld and Carla finds out. 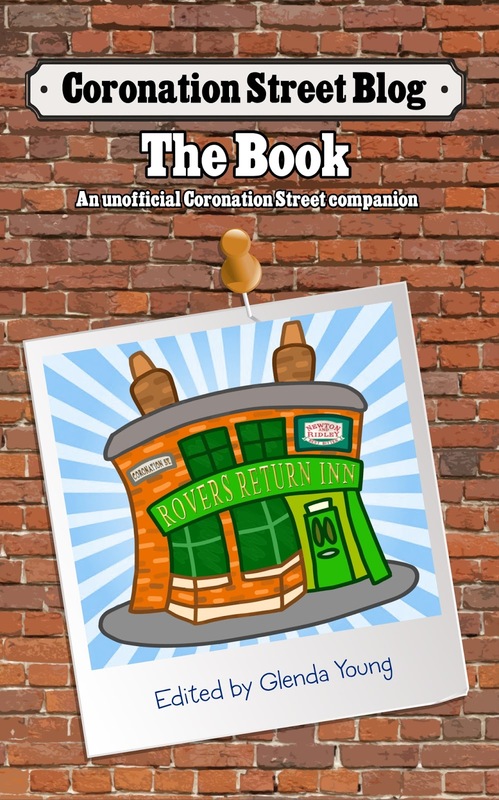 She talks him out of selling but then Peter finds a letter from the bank and thinks that Carla’s trying to buy him out. He jumps to conclusions, rushes to sell his shares again and it’s Nick flaming Tilsley who buys him out. Carla and Nick are now partners in pants. Meanwhile, with Sally still in jail Tim’s getting friendly with Gina who’s cooking and ironing and looking after him and Faye. 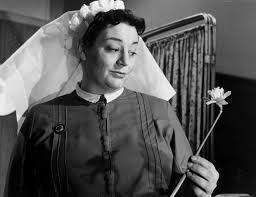 Gina goes along to a Weatherfield County footy match with Tim too. And that’s just about that for this week. 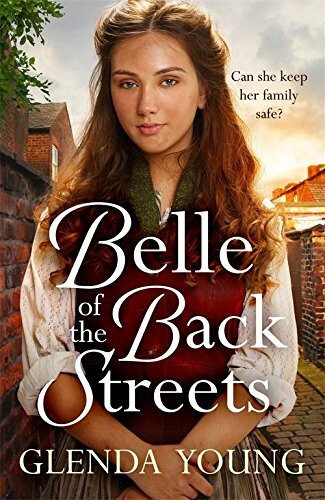 Debut novel Belle of the Back Streets out in hardback and e-book. Jeanie: Have never understood why people love the Peter/Carla relationship so much. Peter is so nasty, vindictive, mean-spirited when it comes to Carla and last night showed it off in spades. I mean, he wants to sell his share in the factor--understood. He came in hoping she would forgive and forget the small matter of his affair with Tina and the deaths of Tina and their unborn child. Carla, not surprisingly, could not get past these things. So why does he take such offense at the idea of selling the shares back to Carla? It's not like she's trying to get it cheaper than anyone else or rip him off. To sell it to Carla's enemies, first the tall guy and then Nick, is spite, pure and simple, and shows how little he really cares about her. It's always all about Peter and his hurt feelings. Agree with you Jeanie. I've never liked Peter and Carla together, they just don't fit.